1. In February 2018, the LBWF Cabinet agrees to set up ‘a joint venture with Mears Limited to acquire 400 properties to let to those living in temporary accommodation or on the Council’s housing register’. 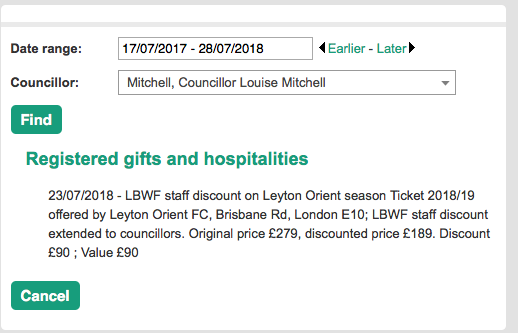 LBWF, the LABGI programmes, the Waltham Forest Business Board, the E11 BID Co. et al.